There can be few such dramatic – and mystifying – opening scenes as this. At beautiful Nightingale House in the Cotswolds, Liddy, wife of celebrated Victorian painter Ned Horner, smells burning. Running to Ned’s studio, she finds him setting fire to the parcel containing his most famous painting – The Garden Of Lost And Found – shrieking like a madman. Days later, he is dead from the Spanish flu. The painting was a portrait of the couple’s children, Eliza and John, sitting in the garden on a beautiful summer evening. They are peering towards where their mother sits writing inside the house. It made Ned’s fortune and toured the world – then, following a series of tragic events he bought it back, virtually bankrupting himself. But there is far more to it than that. Next, it is as if a box of jigsaw pieces is tipped into the reader’s lap. We are given a letter from Ned to his friend Dalbeattie, an architect, sharing his joy at discovering the perfect house and asking for his help in restoring it. Thirdly (this is still the prologue!) we are notified in a news article that the sketch for The Garden Of Lost And Found has come to light and is being auctioned by the company which happens to employ the artist’s great-granddaughter, Juliet Horner. Then comes the first of many extracts from instructions to Juliet (whom we will meet in a moment), talking fondly of “Mum’s” love for the garden and all the tasks that need doing in May. And finally here is Juliet, harassed London mother and put-upon wife, heroically if not hysterically optimistic, struggling to get her three unhappy children to school and nursery before going to work at the auction house. There she is patronised, undervalued, framed and finally sacked. On her way home, she witnesses her husband driving off with his girlfriend… mother of a friend of their daughter’s. Into this nightmarish situation drops a letter informing Juliet that she has inherited her grandmother’s home, Nightingale House. If this were a different kind of book, Juliet’s flight to the country with her children would be rose-tinted, cinnamon-scented and sentimentally simple. They do go – but everything is richly, realistically tangled and full of doubt, mud, traffic issues and collapsing gutters, as well as constant teenage, pre-teen and toddler strops. Yet, scattered like sunlit jewels are moments of joy when Juliet stands alone in the wild, beautiful garden, or when one of the children allows themselves to be contented for a moment. Running through the generations are little puzzles, things that don’t quite add up – and this book would bear a second reading to appreciate all the clues so casually woven in as to be barely noticeable. Why is there a shooting star in the sketch, which was apparently not in the painting itself? Why did Juliet not inherit the house as soon as her grandmother died? With the children in the painting both lost, how has the family line continued? Finally the threads converge into a satisfying resolution. After 554 emotionally bruising pages, it’s impossible to believe in plain sailing or perfect endings – merely sunny spells, with clouds always on the horizon. Like life, in fact – with the occasional jaw-droppingly bad decision that makes you cry aloud with frustration. How can Liddy refuse lifesaving medical treatment for her child, or decide not to go and meet her sister? How can Juliet agree to such an insulting divorce settlement, or take her eyes off young Sandy to argue with Bea? As Grandi told Juliet, the only thing to do is to keep on going… and spring will come again. Despite the harrowing parts, I did enjoy the book – its unpredictability, cleverness, tender characterisation, loving descriptions and obvious enthusiasm for the world of art. How ironic that The Garden Of Lost And Found portrayed two children pausing happily in their play and a serene, remote mother – when throughout the sittings the children were fractious at being made to pose, and Liddy, the mother, was running around using all her loving wiles to cheer them and ease their boredom. Symbolism indeed – the juxtaposition of messy, impatient life and the idealised representation of it in art (or the media). The warts-and-all depiction of modern middle-class parenthood will have many readers wincing in recognition – perhaps questioning a way of life that can throw up so many heartbreaking situations. There are only so many times you can assure a child like outspoken, fragile Isla that everything will be fine before they stop believing you – and sometimes an upheaval may be preferable to constant papering over of cracks. This isn’t a comfortable read, but ultimately a rewarding one. A word of advice: this is a good title to tackle on an e-reader, or in bed. I developed a sore shoulder in the week I was carrying it around to read at every opportunity – and that was the paperback! 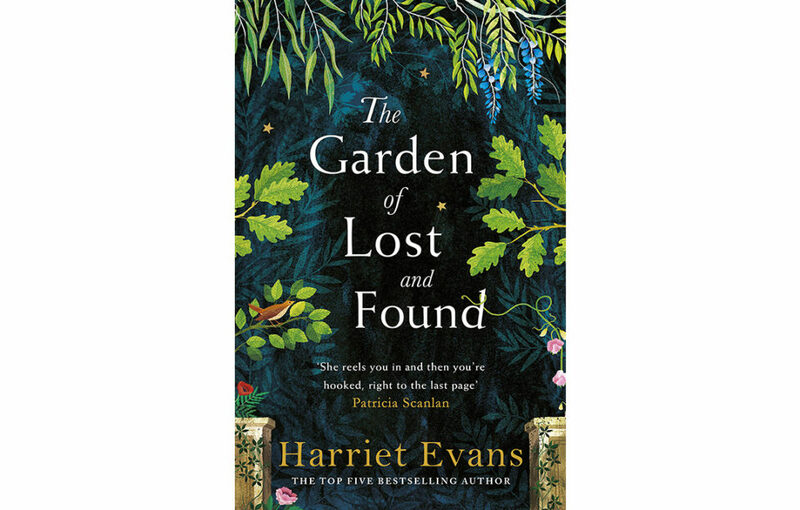 The Garden Of Lost And Found by Harriet Evans is published by Headline in hardback on April 18, 2019, RRP £16.99, and available from Amazon.